ROCKNA AUDIO is the mother company of Audiobyte. It’s founder Nicolae Jitariu is regarded as a digital wizard having designed for PS Audio, Goldmund and MSB. 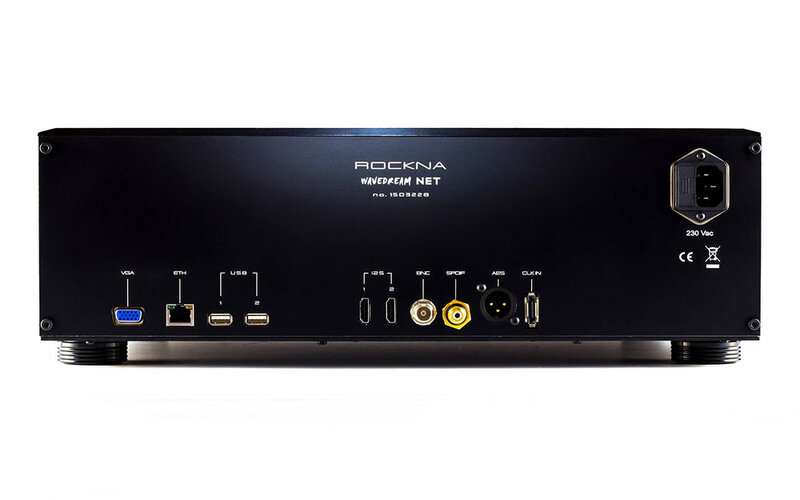 Rockna has two products in it’s portfolio; the Wavedream Net a CD/DVD/Blu-ray transport with Roon and in-built storage and the Wavedream DAC available with both single ended and balanced XLR outputs. If you are looking for high-end audio as it should be, you may be in the right place. Let’s bring back innovation, consistency and common sense applied to design and technology. The Wavedream NET is a unique product which adds together a high performance audio server and a latest generation, memory-based cd transport. You can enjoy your cd collection, internal storage playback or latest streaming experience from only one machine. The NET is naturally the best complementary source for the Wavedream DAC over the HDlink(I2S) connection. The NET is built around a powerful digital audio core, which streams all audio data into a large RAM buffer. The audio data is clocked out after a ultra-low phase noise masterclock, making the machine close to a ideal source. The powerful FPGA engine takes care in exclusive mode of the disc playback, which is totally separated by the server side. Also, the FPGA contain a large number of DSP units which can be very effective in real-time processing of audio streams, saving lots of processing power from the server’s side CPU. The audio server embedded into the NET is galvanically isolated from the audio side to prevent any kind of unwanted noise to leak into sensitive areas. We carefully balanced the server power consumption with it’s processing power. A very large processing power means more complex and power-hungry CPU’s, which are not necessarily a good thing for audio reproduction. The server software is based on a lightweight version of Linux, which gives our quad-core processor enough headroom to run many audio services in parallel. One of our design goals was to stay away from a switch-mode power supply, which can have potentially higher noise and possible harmful effects when placed near sensitive audio circuitry. Therefore, there are only linear power supplies inside the NET, including power for the server side. At first sight one might be tempted to use high-powered CPU, following the principle “the bigger, the better”. Actually, a large processing power is not always necessary and it comes with benefits of lower noise, simpler architecture, lower radiated EMI and of course, lower power consumption. Digital audio is a very dynamic field which can quickly evolve just in a matter of months. The webserver interface along with services can be easily updated with just a simple click from the interface.